His daughter was only born on February 2nd, but that’s not stopping Antti Raanta from gently nudging little Evelyn into the family business of net minding. 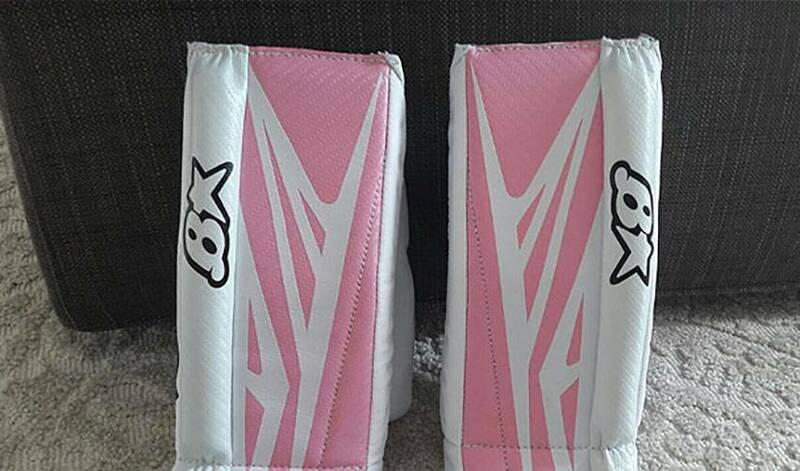 At just over a month old, Raanta custom-fit Evelyn for a pair of mini goalie pads from Brian’s Custom Sports in Kingsville, Ontario. Goalie pad designer Reo Roy, who makes unique equipment for special high-profile clients and pro goaltenders, created the 10-inch high pads for baby Raanta in half a day’s work.